The design of Pakistani Salwar Kameez is long and flowy. The pattern is straight and there are slits on two sides. The bottom, which is the Salwar is flared and one can find a thick band stitched horizontally to the end near the ankle. There is a dupatta or in other words scarf that is a long rectangular piece of cloth, generally matching with the dress, is worn around the neck with the ends falling on both sides over the shoulders and hanging at the back. This can be considered as a general description of Salwar Kameez from Pakistan but there can be many different types and styles. Silks and satins are considered to be more fashionable and suitable for a variety of occasions. These types of suits with the attractive brocade work looks very stylish. The zardozi which is an age old embroidery type and other different styles of hand embroidery together with lace work help women don this traditional yet ultra-sophisticated dress to all major functions. Since, Salwar Kameez is a dress which originated from a region which is mostly hot, cool cottons is the desirable choice when one wants to buy this dress. Attractive color combinations, lovely motifs, top class tailoring, carve out a beautiful dress which is suitable for today’s women. The odhni or dupatta which is worn across the neck adds more glamour to this dress. Special designs in variety of calming soft shades can be seen during the summers, while the cotton dress can be seen in bolder hues and designs during the monsoon and the winter season. Women want salwar kameez in different styles which they can wear daily on different occasions. That is why nowadays, casual salwar kameez is quite in trend. Pakistani designer Salwar Kameez can be found in huge range and are most loved by women for their sheer stylish appeal. They are long, have different types of neck styles, variety of designer sleeves which together reflect the innovative ideas of the designer. In the times when women are not interested much in wearing Salwar Kameez, these suits for their modern designs and attractiveness are much preferred. No woman from the Indian subcontinent can think of her life without Salwar Kameez. Women preferred this dress especially because it covered the body well and was comfortable. There were common designs some good to and some okay. However, Pakistani designer Salwar Kameez has brought to the women oodles ofgrace and flare which somewhat lacked in ordinary suits. Available in taffeta, chiffons, variety of silks and fabrics like organza, this suit is always a part of bridal trousseau of the women in the subcontinent. One can easily mark a bridal suit with its rich embroidery, use of silver and gold threads, and pearl embellished floral patterns. Indo-western style suitis occupying the wardrobes of the fashionable women. The entire dress gives a look of western wear while still retaining the form and shape of a salwar kameez. The kameez is designed like a western dress or sometimes elements of western styles are taken and blended with the more ethnic and traditional designs and patterns. The colors and designs are modern. The bottom is usually different than the traditional suits as designer’s experiment and come up with different styles. Chudidars too are worn regularly instead of loose salwars. With more modern look and great stylish appeal,Pakistani style Salwar Kameezhas captured the heart of women living all over the world. It is feminine, chic and enhances the personality and beauty of a woman. Functional yet graceful and elegant can be used to describe Pakistani style suits. Because of their modish look, these suits are fast making their way into the wardrobes of women belonging to different cultures. This is really a great piece of information regarding salwar kameez collections and when to wear it and what to wear it and their types to. Beautiful Pakistani Dresses The colors of the suits especially orange and magenta with fine work of embroidery on it adds an extra style to it. Really very interesting post. Asian fashion designers are really doing amazing work. Keep going on. Nice to read your blog really good post having summer salwar kameez. Nice blog on salwar kameez. Check out http://www.variation.in for more salwar kameez neck designs. Nice dresses. Really Amazing Information. Great article with good pictures and information !! If anyone willing to get 70 to 80 % discount on Pakistani designer bridal dresses then, https://www.bridalsbrand.com/ is the best place for anyone . Lovely Collection ! Thanks for Sharing ! 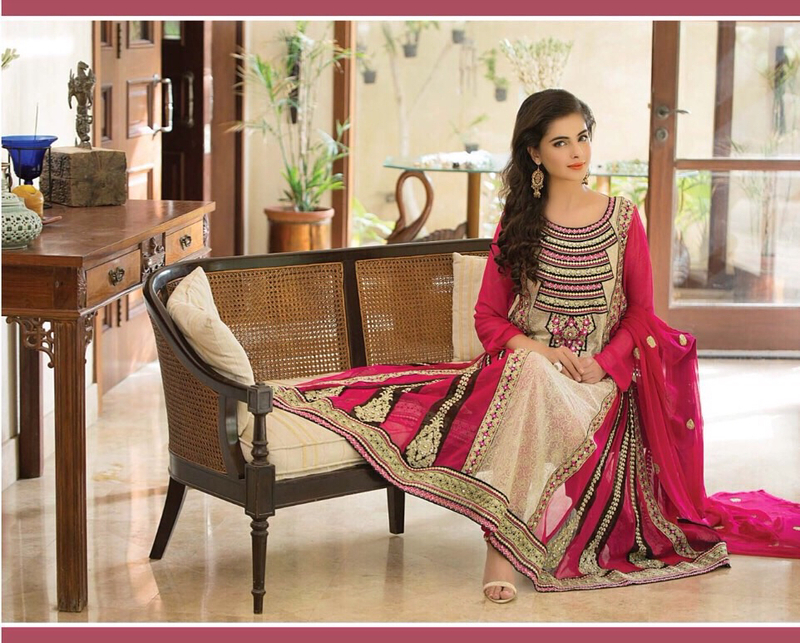 Gorgeous designs for Pakistani salwar suits. Casual suits should be as simple as it should be as they are for daily wears. The design shared in casual type looks heavy embroidery and mirror work which is a designer wear for occasions or functions. We had shared some of your designs at our subsidiary HayaIndia. Thank you for sharing…. Pakistani Anarkali dresses are the most amazing form of Anarkali suits, they are very finely made and really exhibits Royal mughal era!! Good article, Thanx for sharing!! one of the best and useful blog i ever read about unique and attractive and salwar kameez. thanks for sharing this wonderful article. I love your Article and your work. Pakistani dresses are really beautiful. For our B2B Indian textile marketplace, we are looking for some of the best pakistani salwar suit manufacturers. Kindly share the list if anyone have.